The Tony® Award-winning Broadway musical about love, hope, and living your dreams took London's West End by storm with standing ovations from the public and a record-setting 28 five-star reviews from UK critics. 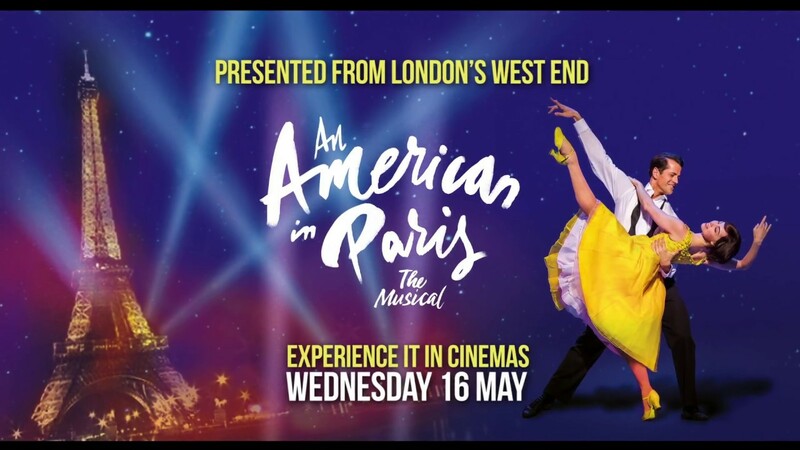 The musical follows a former American GI, Jerry Mulligan, trying to make it as a painter in post-war Paris. He falls in love with a dancer, Lise Dassin, after a chance encounter. Starring New York City Ballet principal dancer Robert Fairchild as Mulligan opposite British Royal Ballet dancer Leanne Cope as Dassin. Both reprise their roles from the original Broadway production. The musical features songs from George and Ira Gershwin; Craig Lucas adapted it for the stage. Christopher Wheeldon won a best choreographer Tony for his work on the production. With gorgeous Gershwin tunes, stunning designs, and show-stopping choreography, this breathtaking new musical tells the story of an American GI discovering friendship, art, and love in the "City of Lights" in 1945. Part of Symphony Space's Theater on Screen series, bringing unforgettable theater from around the world to our screens.